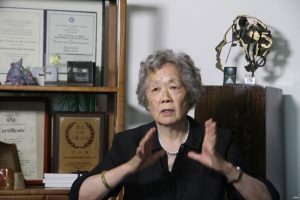 Ding Zilin is a retired professor, activist, and the co-founder and current leader of Tiananmen Mothers—a loosely organized political pressure group comprised of family members of pro-democracy protesters killed during the June 4, 1989 military crackdown. Born on December 20, 1936, Ding Zilin was an associate professor of philosophy at Renmin University in Beijing before retiring, and is the widow of Jiang Peikun (蒋培坤), who was the dean of the Aesthetics Institute at the university and passed away in September 2015. Ding and Jiang’s son, Jiang Jielian (蒋捷连), who was 17 at the time and a second-year student at Renmin University’s affiliated high school, was among the first casualties of the crackdown in Beijing. According to eyewitnesses, Jiang Jielan—who had rushed towards Tiananmen Square against his parents’ wishes after hearing an “Urgent Warning” on state television urging Beijing residents to stay home—was shot in the chest on June 3 and left to die from blood loss. In 1991, following an interview with ABC, the government began pressuring Ding and her husband to be silent. In a 1999 interview with CNN’s then Beijing Bureau Chief Rebecca MacKinnon, Ding said following the ABC interview, “they wouldn’t let me go to class, wouldn’t let me take on any research students, wouldn’t let us publish anything domestically, expelled me from the party, and confiscated my husband’s research. This developed to the point where they secretly detained us. I was detained for more than 40 days. Even after we were released, I was still forced to retire early.” Surveillance and other pressure on Ding to remain silent has continued. Under Ding’s leadership, 27 members of the Tiananmen Mothers in 1995 sent an open letter to the Standing Committee of the National People’s Congress calling for an open and independent investigation into June 4, and the publication of all investigative findings including the names of all victims. 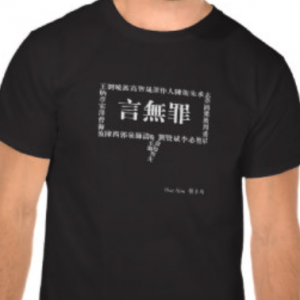 Since the initial letter, Ding and Tiananmen Mothers have penned several more (most recently ahead of the 29th anniversary of the incident in 2018), as well as many essays on other political and human rights issues, including one on her worry for political prisoner and journalist Gao Yu during her detention in 2014. 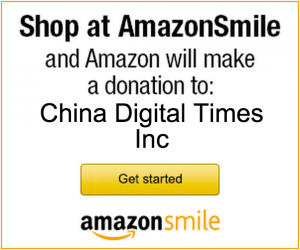 Human Rights in China has also translated a four-part essay by Ding remembering her son.